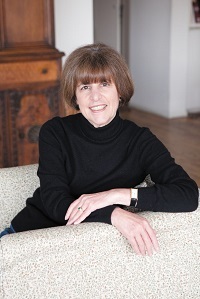 Ellen Feldman, a 2009 Guggenheim Fellow, is the author of five previous novels, including Scottsboro, which was shortlisted for the Orange Prize for Fiction, and Next to Love. She lives in New York City. For more information on Ellen and her work, please visit her website, www.ellenfeldman.com. 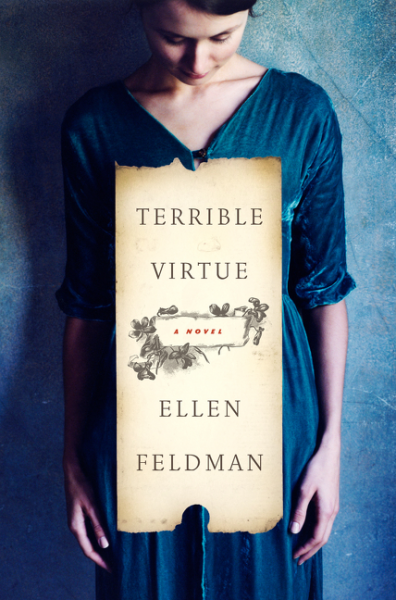 There is no more appropriate time for this novel, Terrible Virtue, which was released two days ago, to be available. Ellen Feldman’s fictionalization of the life of Planned Parenthood founder Margaret Sanger is brutally honest and beautifully poignant, letting us see the life that formed her person and her convictions, but not shying away from showing her flaws. It’s an excellent reminder that our icons are, in fact, real people, just like us. As the feminist daughter of a feminist mother, I was raised on Our Bodies Ourselves and Ms. Magazine. The name “Margaret Sanger” has always been a part of my cultural vocabulary, but the deeper truth of her story – that she was one of thirteen children, that she watched her mother becoming ever more exhausted and depleted as she gave birth to baby after baby – was new to me. This first person account of what Sanger’s life was like gave me a deeper context, and turned her from a mere name, an abstract symbol, into a whole person. And her presentation – giving us the bulk of the story from Margaret’s own point of view where we see her as a fully dimensional young (and then older) woman, but also providing counterpoint in the form of people who disagreed with, not her fierce support that birth control was necessary and and required in order for women to be truly free, but also her other opinions – really puts us, the readers, in the middle of history. Her story, her struggles with her own loves and marriages, her ongoing battle with tuberculosis, and her impoverished beginnings, not only gives us a picture of a woman with a mission, it puts that mission into a deeper context. The one quote that everyone is sharing is the one that really defines the heart of this novel, “No woman can call herself free until she can choose when and how often she will become a mother,” is absolutely the core of Sanger’s own life, as well. It’s a truth we sometimes take for granted, and one we must remember, especially in our “modern” age. We are in the middle of an election year that is growing ever more toxic, and we are seeing our rights as women, as people, being constantly eroded by (mostly) white, male politicians who believe their religious leanings should govern all of us. TRAP (Targeted Regulation of Abortion Providers) are becoming more and more widespread, and more and more vindictive. Where is the Margaret Sanger for our age? And how will history treat her? This book may not answer that question, but it’s a worthwhile read, and I can’t recommend it enough. Goes well with strong coffee, dark chocolate, and an upraised fist.